Your engine oil is essential for keeping your car running properly. Oil performs many functions in your vehicle, and if you run out of it or don’t get it changed often enough, the results can be damaging. Regular oil maintenance is one of the least expensive services that will keep your car running reliably for years. So it’s important to understand what engine oil does, what kind to use in your vehicle, and when to have it changed to preserve the life of your car while driving through Los Angeles, Long Beach, and Downey. 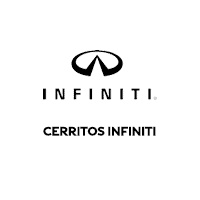 Here at Cerritos INFINITI, we care about you and vehicle! You can visit us for oil changes in Los Angeles, CA at any time by scheduling an appointment online or over the phone. Your car relies on engine oil to keep all of the parts of your engine working together smoothly. It lubricates all of the moving parts to reduce friction when they rub together. A lack of lubrication or using old, less effective oil can cause serious damage to the parts of your engine. Because combustion occurs in your vehicle’s engine whenever you use it, oil acts as a coolant and helps draw away the heat that results from this combustion. This helps to prevent damage to the cylinders. What Kind of Oil Do INFINITI Models Take? What Type of Oil Does Your Car Actually Take? When Do You Really Need an Oil Change? There are two main types of engine oil: synthetic and conventional. Check your owner’s manual to find out which one is best for your engine. Most vehicles use conventional oil, but synthetic oil has a longer life span, so instead of the recommended 3,000-mile oil change, when you use synthetic, you could wait as long as 9,000 miles. However, synthetic oil costs more up front for this year–roughly twice as much as conventional oil. Changing your vehicle’s oil regularly will help keep the oil from turning into grimy sludge that will be ineffective in lubricating the working parts of your engine. The general recommendation is that your oil should be changed for every 3,000 miles you put on your car while driving down the streets of Los Angeles, Long Beach, and Downey. But some auto technicians believe this amount can be extended. Ultimately, it depends on the make and mile of your model of your vehicle. Other factors should be considered as well, such as whether you do a lot of towing and driving in a dusty or sandy area. You should keep track of how many miles you’ve driven since your last oil change to determine when you need another one. If your car needs fresh oil, the Check Engine light may come on or your vehicle may make unusual sounds caused by engine components rubbing together. Another essential component of your engine is the oil filter. The oil flows through the filter, which prevent unfiltered oil from moving through the engine. While you may want to change your oil at home, you may find that dealership oil changes have a few perks. For example, when you’re at home, disposing of the used oil can pose a problem, as you should never pour it on the ground or in the sewer. Some dealerships may also check other fluids in your vehicle to make sure everything is topped off. It’s important to always keep fresh oil in your vehicle to ensure your engine is running the way it’s designed to. Cerritos INFINITI’s service department has qualified technicians serving Los Angeles, Long Beach, and Downey who will change your engine oil in in a timely manner. Schedule an appointment or call us at (888) 262-2011.